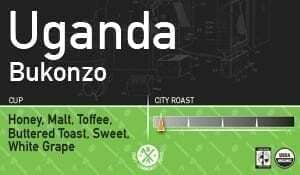 A coffee engrossed in sugars and brightness, your nose receives glimpses of honey and malt. The acidity establishes depth between savory tones of toffee and buttered toast. Such a pronounced brightness lends to the cup’s white grape notes at the end.